Hydrogen (H). Diagram showing the nuclear composition and electron configuration of an atom of hydrogen-1 (atomic number: 1), the most common isotope of the element hydrogen. 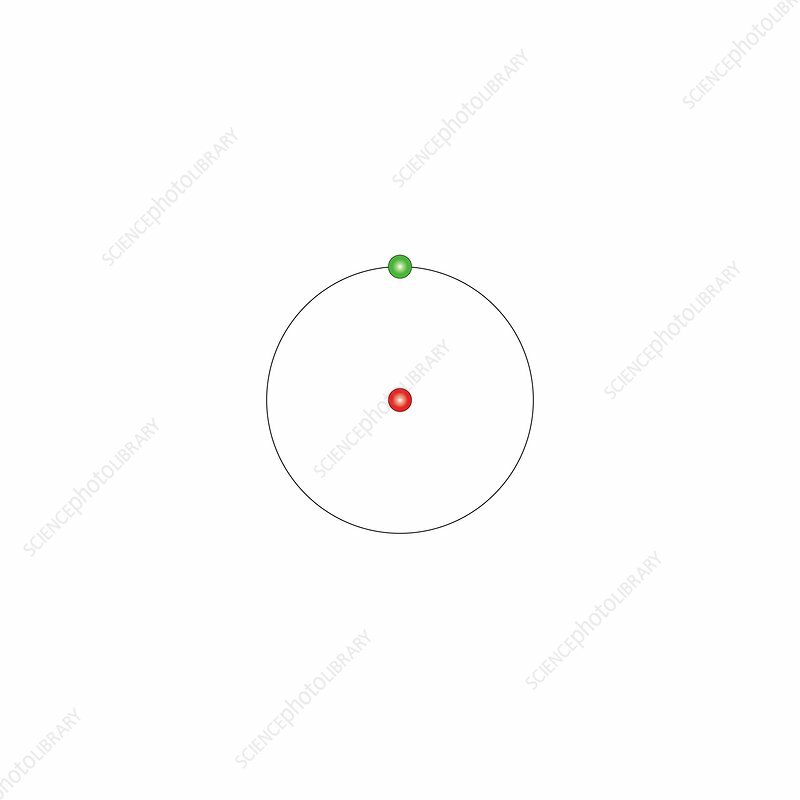 Its nucleus consists of a single proton (red) and no neutrons. A single electron (green) binds to the nucleus and occupies the first of successive electron shells (ring). The stability of an element's outer electrons determines its chemical and physical properties. Hydrogen is a non-metal in group 1, period 1, and the s-block of the periodic table. At room temperature and pressure it forms a colourless gas (H2) that liquefies at minus 253 degrees Celsius.